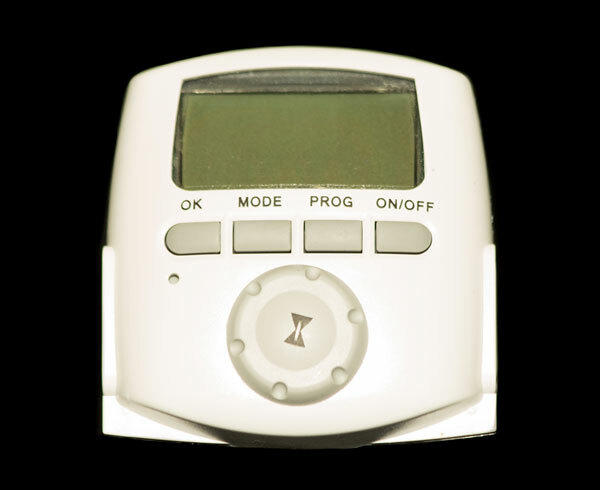 Our mini-timer controllers allow you to program your Vent-A-Kiln or Vent-A-Fume overhead ventilation system to turn on at the beginning of the kiln firing process or fume extraction for process emissions and turn off when excess heat and fumes are removed from the work area. It is ideal for electric kilns, electric ovens, and small electric furnaces. Automatic start-up of ventilation prior to kiln firing is a safety measure to eliminate the potential hazard of forgetting to turn the system on. Automatic shutdown ensures that all fumes have been eliminated from the area and contributes to energy efficient operation. Capable of automatically turning your overhead kiln ventilation system on and off up to 8 times a day, 7 days a week.